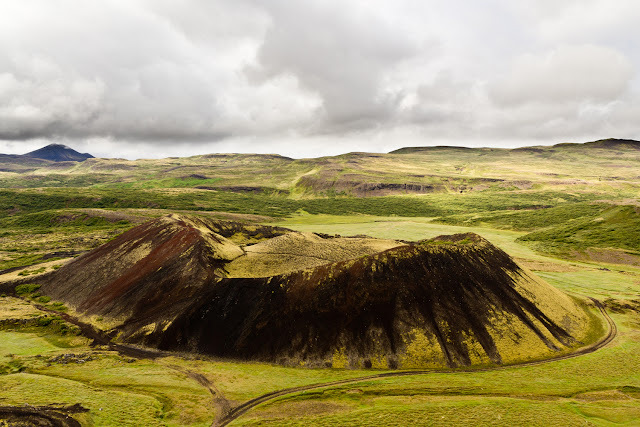 Since Iceland is of vulcanic origin, most of the surface still bares hints of vulcanism. In a lot of places there are craters of various types and kinds visible in the landscape. This crater we saw from the edge of another one.